Do you have a green thumb and wish you had a space to better display all your colourful and carefully tended flora? Look no further than the "PRODUCT NAME" Flower Cart! 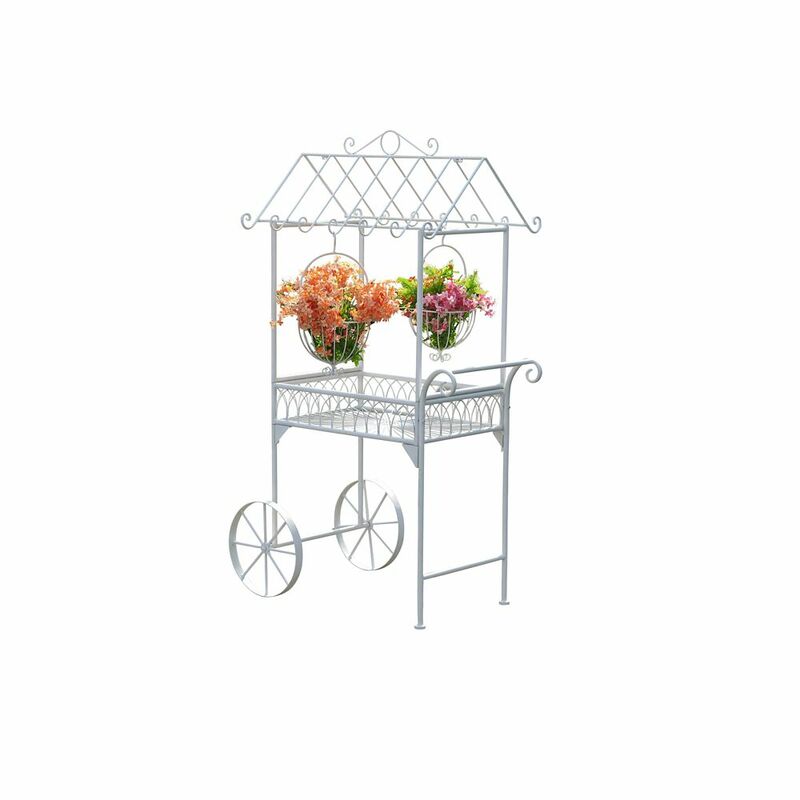 Beautifully designed with elegant scrollwork along the roofline that doubles as an area to place hanging plants, as well as a convenient removable shelf to put potted plants and gardening tools. This enchanting flower cart can take all the bending and kneeling out of garden care by raising your gardening up to a more accessible level. It comes in a traditional white finish that will make the vivid colours of your plants really stand out. Lyman Flower Cart Do you have a green thumb and wish you had a space to better display all your colourful and carefully tended flora? Look no further than the "PRODUCT NAME" Flower Cart! Beautifully designed with elegant scrollwork along the roofline that doubles as an area to place hanging plants, as well as a convenient removable shelf to put potted plants and gardening tools. This enchanting flower cart can take all the bending and kneeling out of garden care by raising your gardening up to a more accessible level. It comes in a traditional white finish that will make the vivid colours of your plants really stand out.